Hover over and click on the titles below to be linked to many great resources. CLICK HERE for the latest news, events, etc. Pledge Contributions/Event Tickets/Mission Trip Payments/Memorial Gifts, etc. 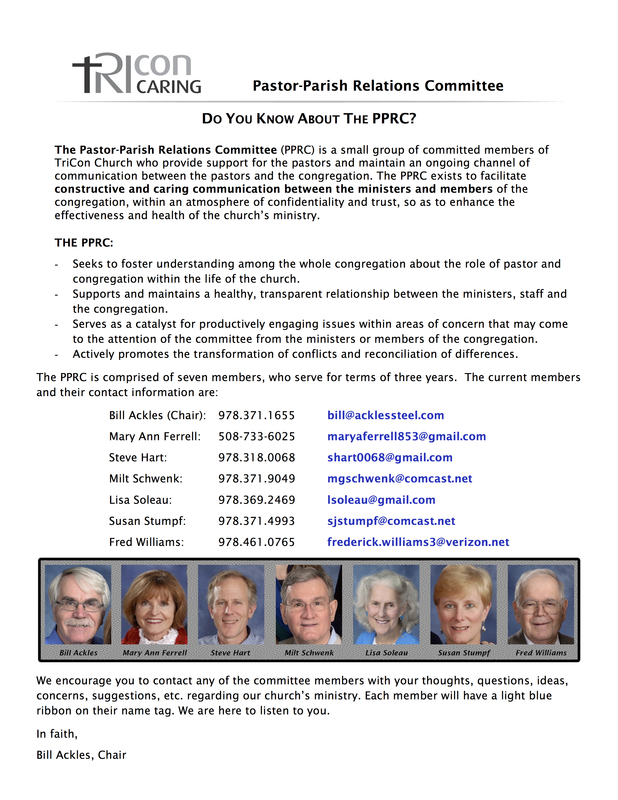 Do You Know About the PPRC (Paster-Parish Relations Committee)?